The end of summer is nearly here, the holidays are around the corner, and you want to sell your house. You may wonder if it’s the right time, what kind of market you’re in, and where to begin. 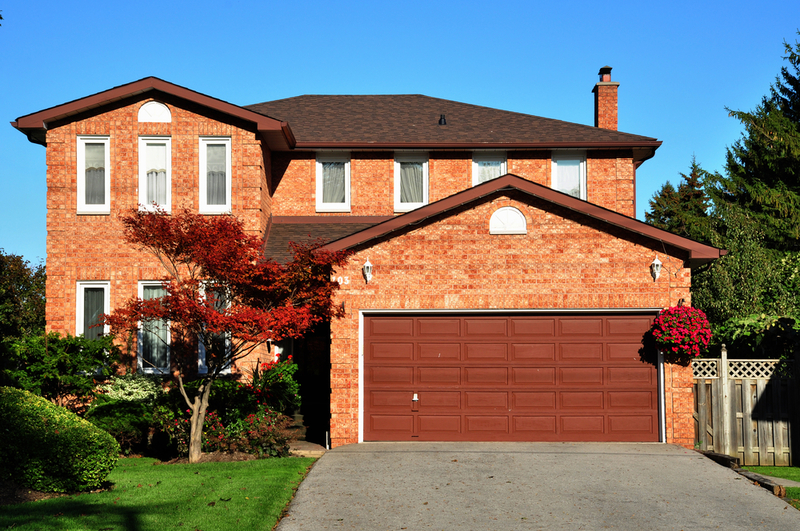 Selling in the fall can be a great experience with a little preparation and a few quick tips. While you will likely see fewer potential buyers than you would in the spring, it doesn’t mean it’s a bad time to sell. The temperatures are dropping, the holidays are coming, and buyers are highly motivated to close. Fewer buyers can mean you’re less likely to see a selling price higher than the asking price. It’s important to make sure your home is priced right for the market. The holidays are times of cheer and goodwill. The general atmosphere is warmth and festivity. You can capitalize on this by decorating your house according for the fall, but don’t overdo it. Finding a tasteful balance for your holiday decorations will make your house stand out. The summer weather can leave your windows streaked and grimy. While smudges may seem small and subtle, if you want to sell your house, your windows should be spotless. Remove your screens and wash your windows inside and out. Your goal is to make them sparkle. Keep your lawn mowed and your leaves raked and cleared away. Tend to your landscaping and freshen up your flowers. First impressions still carry a ton of weight and can even turn potential buyers away before they even step inside. Give them a reason to take a closer look. All your marketing photos should be taken in the spring when everything is green and full of color. They’ll see your house in its best light. They’ll also have the chance to see it during two different parts of the year. Keeping up with the maintenance inside and outside your home is essential no matter what time of year you plan to sell. Make sure your AC and heater are in proper working order. Keep your trees and shrubbery trimmed, and your roof in good condition. If you have a fireplace, keep it cleaned and lit during showings on cold days. As it gets closer to winter, the sun sets earlier and earlier. A house in the dark is much harder to sell than one that’s well lit. Keep your lights on inside and make sure your exterior and landscaping is well lit as well. A well-lit house catches the eye in the dark and gives a sense of pride. There’s not many weeks left in the summer and fall will be upon us before you know it. Don’t wait until the last minute. Now is the time to begin preparing your home to sell. Remember, buyers will be more focused and ready to close, so you need to be ready. Use this guide to selling your house in the fall to get started. To learn more about selling during the fall months or for assistance selling your home, Contact Us. Whether you plan on selling your house soon or not for some time, regular maintenance is one of the best things you can do to get it ready. Keep it cleaned, repaired, and up to date. Don’t wait for it to be on the market. Get started now. Keeping your gutters cleaned regularly will prevent leaks and clogging. It will also make sure they will drain properly when the rain and storms come. It’s a good idea to keep an eye on your roof year to year to make sure no unexpected issues arise. Hidden leaks can start slow and cause tremendous damage before found. Keep leaves and debris cleaned off the roof and look for missing or damaged shingles. Consider a professional inspection every few years as well. You don’t want to be caught without air conditioning during summer’s hottest days. Hire a professional to inspect your AC and conduct a summer tune up. Your refrigerant levels should be checked and filled if needed. They should make sure your fan is in good shape and clean your coils. They should also inspect your wiring to prevent fire hazards. Your windows are a key to keeping the summer heat and winter cold out of your house. The main thing to pay attention to is your window sealants. Check both inside and outside. Caulk any holes you see and check the weather stripping. Make sure your windows remain sealed and in good shape. This not only helps keep your electric bill down, but it also keeps the outside looking good. One of the sneakiest maintenance problems comes from dirt, grime, and mildew that accumulate on the exterior of your house. Routinely cleaning it will keep your outside looking its best. There’s nothing like a grimy film to make your house look aged. On the other side, there’s nothing like keeping it clean to keep it looking well-maintained. 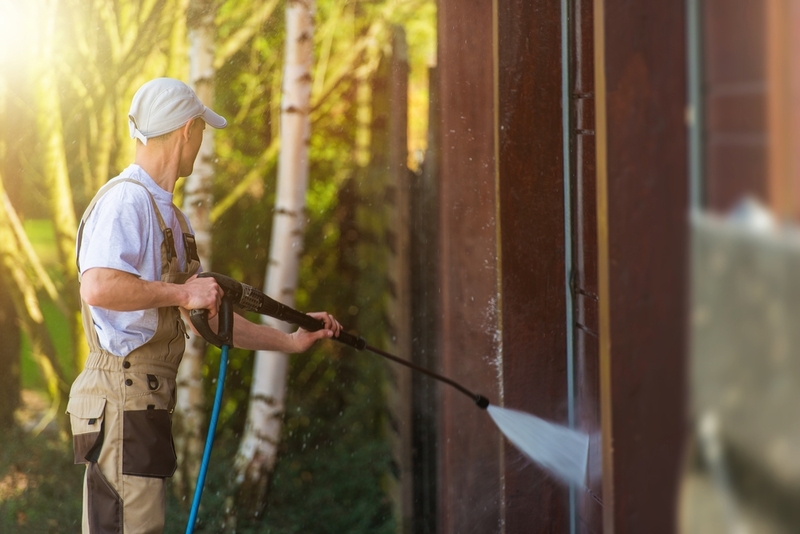 Pressure washing your walls is the easiest way to do it. How well your house is maintained could make or break a sale. Most people aren’t interested in inheriting major maintenance issues and problems. Give yourself the best chance to sell your house when you want to sell it by keeping up with regular cleaning and maintenance. Use these home maintenance tips for summer to get started. The Lippincott Team is your Cypress area resource for buying and selling houses. Contact Us for more information for for help selling your house today. A house is likely one of the biggest investments you’ll ever make. When it’s time to sell, it’s important to know you’re working with an agent who is experienced, competent and has your best interest at heart. Before you select an agent, it’s a good idea to interview 2 or 3. Ask them to tell you about their experience selling houses. Make sure they include how long they have been doing it and a little about the houses they’ve sold. There’s not necessarily a specific amount of experience you’re looking for. You just want to make sure they have enough to be comfortable handling the entire process from listing to closing. 2) Full Time or Part Time. Ask them if they’re a full time or part time agent. Working with a part time agent isn’t necessarily a bad thing, but it’s something you’ll want to know up front. It may give you an idea of his or her availability to work on your listing. Just as with any other job interview or service you look for, ask if he or she can provide reference letters, previous clients you could call, and/or online reviews you can read. If you’re able to talk to previous clients, ask about their experience with this particular agent. What did they like? What did they not like? Try to get an idea what it will be like working with them. An agent who is busy will need a personal assistant or other staff to help process transactions, run a comparative market analysis, and provide other backend support while the agent is out in the field. They may also work with a team of other agents. Ask for the names of anyone you may work with and how they will help you with your transaction. Find out how you can expect communication to be handled. By phone, email, text? Who will communicate with you and how often? Also, find out when your agent can receive phone calls. You will be communicating a lot over the course of the sale, so it’s good to get an idea of what to expect. Marketing your home is a crucial step in the sales process. It’s the only way to get your listing in front of potential buyers. Ask how they plan on marketing your home to the most potential buyers possible. Take a look at how they’ve marketed other homes online. Look at the photos and ask how they will increase your home’s visibility online. Ask if they utilize virtual tours and to show you some examples if they do. Ask how they go about pricing a home like yours. The condition of your home and its location will affect the sales process. But the determining selling factor is more often than not the price. What’s their strategy? 8) Work in this Price Range. Ask if they have experience working with buyers shopping for homes in your price range. You’ll want to know if they understand how the mind of your particular potential buyers works. If they do, they’ll know how to negotiate more effectively. 9) Knowledge of Home Loans. The last thing you want is for the sale to break down during the financing process. It’s a good idea to work with an agent who understands the process and works with a reputable lender. Working with a less than reliable lender can often cause delays or even make the whole deal collapse. On the other side, often you run into issues with the buyer’s finances. Sometimes it will make a deal fall apart at the last minute. However, if your agent is well-versed in the home loan department, he or she may be able to salvage the deal. 10) What sets you apart from other agents? Give the agent the opportunity to talk about what they will do that’s different from anyone else you’d encounter. This is their opportunity to sell themselves, so understand you’ll only hear positive things. But use this as an opportunity to learn about them. Ask probing questions and listen to their answers. Notice their confidence level. Try to determine if you’ll enjoy working with them or not. Selling your house will likely be one of the largest transactions you’ll ever make. Give yourself the best chance to sell your home as quickly as possible and at the best possible price. Interview 2 or 3 realtors before choosing the one you’ll work with. Get started with these top 10 questions to ask a realtor when selling a house. The Lippincott Team is your resource for Cypress and North Houston area real estate. Contact Us for more information or for help selling a house. 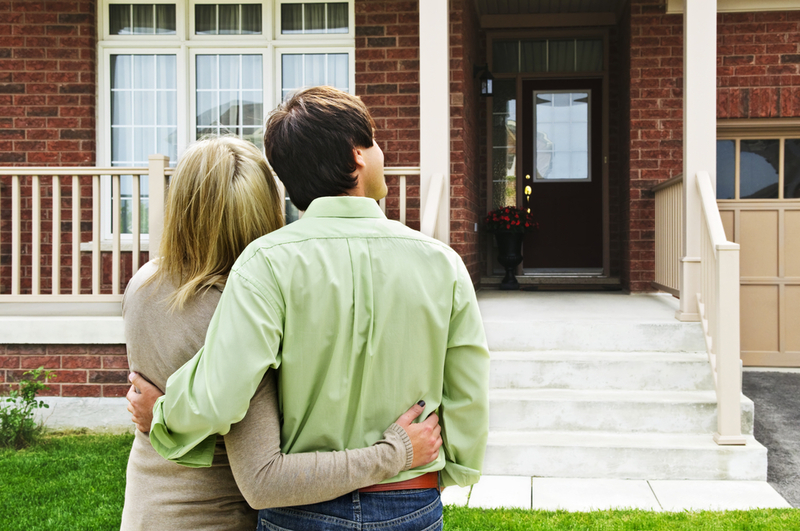 Buying a new home is an exciting, and sometimes overwhelming, process. There are so many factors to consider, research to complete, and decisions to make. Sometimes you don’t know where to begin. It’s ok. It will be over soon! Take a deep breath and get started with this buyer’s guide to new home features. It’s important to know what you’re looking for before you begin your search. Take some time to prioritize the features you value most. Then find an real estate agent you can trust. Turning to a good agent for help buying a home will reduce your stress and ensure you find the absolute best home for you and your family. Afterall, Houston area realtors know the market AND have invaluable resources to help you evaluate all your options. Location is a huge factor in determining your overall enjoyment in a house. And it’s a feature you cannot change after you buy the house. How close is the house to your work? Don’t forget your morning commute is every day. Note the ease of travel to all the places you typically frequent. Grocery store, post office, shopping centers, and entertainment venues are some popular examples. The ease of access, local parks, and noise factor are other location-influenced features to consider. 2) Gotta love the layout. How many bedrooms and bathrooms do you need? Don’t look at anything less. You’ll be doing most of your living inside your house, so don’t scrimp on size. Cramped quarters make no one happy. Do you want a single-story, 2 story, or 1 ½ story home? Think about upcoming changes in your number of occupants. And at the end of the day, do you like the general layout of the house? 3) A beautiful day in the neighborhood. You’re not just buying a new house, you’re buying into a new neighborhood. Drive around the block. There are many northwest Houston neighborhoods to choose from, so take a good look around. Notice the other houses nearby and pay attention to yard and maintenance upkeep and general care. Is there a park, pool, and clubhouse nearby? Try to meet as many neighbors as you can. This will give you two things: insight into the neighborhood from people who know, and an idea of who your neighbors could be. One of the biggest regrets homebuyers express after buying a new home is lack of adequate storage space. Take a look at all the closets in and out of the bedrooms. Take a good look at the space in your garage. Make sure there’s plenty of space for everything you have now and plenty of room for growth. 5) All about the curb appeal. Having pride in your home begins with what people see as they drive by. What will be the first impression of your friends and family members? How will others talk about your house? Take a look at the exterior features and condition. Does the landscaping catch the eye? Walk up to the front porch and take note of how visitors will feel as they approach. Is it warm and welcoming? Adequate light inside and out is another key feature that can seriously affect your living experience in the house. Walk through every room during the day with the lights off. Do you get plenty of natural light with the curtains open? Next, take a look at the rooms with the lights on and curtains closed. Do you see any potential problem areas with low lighting? Take a look at the exterior lighting as well. You don’t want to be stumbling around in the dark at night. Finally, take a look at the style and condition of all the fixtures. Energy efficiency in your home is a huge concern right now. Do all of the appliances including the a/c meet Energy Star qualifications? Take a walk in the attic. Is it properly insulated? Are the windows energy-efficient? All of these factors can make a serious impact on your monthly utilities bill. Your new home will likely be one of the biggest investments you ever make. Take your time and choose carefully. Consider the features that are most important to you and don’t overlook anything you may regret later on. A little extra time and effort before you buy will reap benefits for years down the line. Use this buyer’s guide to new home features to get started. Contact Us for help buying or selling a house or for more great tips on buying a new home.